The uncertainty concerning South Korea’s economic growth and economic policies reached the highest level in 15 months, global data showed Sunday. According to the Economic Policy Uncertainty Index, Asia’s fourth-largest economy recorded 155.15 in July, the highest since 165.4 in April last year. The global index, conducted on 20 key economies across the world, also reached the highest since March last year, standing at 227.77, data showed. The index, developed by three US-based economists -- Scoot Ross Baker, Nick Bloom and Steven J. Davis -- is used to track the general state of a given economy as it relates to businesses. A key factor of the index is the frequency of terms “economy,” “policy” and “uncertainty” in the corresponding country’s news coverage. A result exceeding 100 indicates that uncertainty during the period is higher than the accumulated long-term average. Seoul, which has joined the subject group in 1990, hit a record high of 391.8 in January 2017, while the nation was embroiled in the state affairs rigging scandal and the impeachment of then-President Park Geun-hye. The inauguration of US President Donald Trump and his trade protectionist remarks also added to the concerns. The index then took a dip in May 2017, marking the kickoff of the incumbent Moon Jae-in administration and even fell below the 100 benchmark to a 90.03 in August that year. It rebounded in March amid sluggish employment and weak investor sentiment -- factors which pushed the government and the central bank to inch down the country’s growth forecast to 2.9 percent in July. 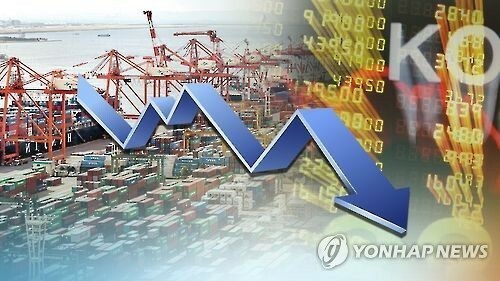 “Concerns are rising on whether the global economic recovery trend will persist, as the economic policy uncertainty has been rising in key countries,” Korea Development Institute, a think tank affiliated with the Ministry of Economy and Finance, wrote in its economic trend report for September.